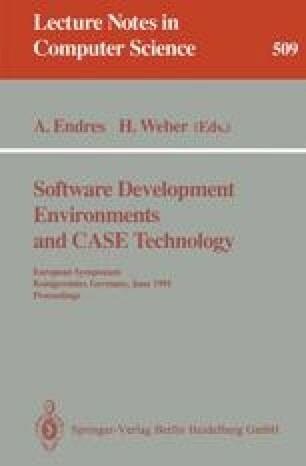 Software developers express a desire for more intelligent support for all phases of the software development process, but current CASE technology does not fully utilize the advancements which have been achieved in fields like automated deduction or specification languages. It is the aim of this paper to demonstrate how such techniques can detect and even prevent errors and inconsistencies much earlier than conventional tools. We describe inference-based support for interactive configuration management, interface checking, component reuse, and intelligent browsing; furthermore, we present a programming environment for rapid prototyping based on a lazy functional language. All tools make heavy use of automated deduction techniques such as order-sorted unification or AC1 unification, and are parameterized with language-specific information such as type inference or module dependency rules.